Alexa has always been called to help others. In grade school, she helped other young people learn the craft of writing. She served the residents of the State of New York in the Senate office of Kirsten Gillibrand. 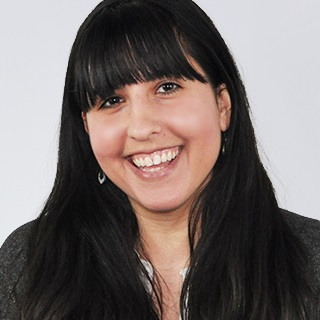 Even now, in addition to her work at Catchafire, she volunteers as the Chief Marketing Officer of a community health service learning organization called Lori's Hands. When Alexa isn't working, you'll find her curled up with a good book, spending time near the water or hanging out with her family and friends. Born an LA valley girl who eventually moved all around the US, Arielle found her home when she came to NYC. It quenches her curious soul that yearns for constant exploration and learning. 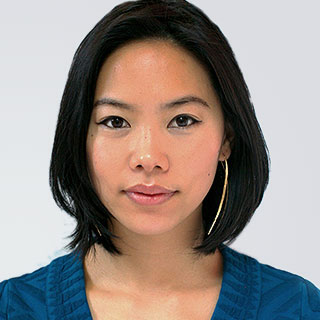 That curiosity spills into her professional life as a multidisciplinary designer who constantly asks “how” and “why” people think and feel the way they do, and aims to create solutions for those assumptions that balance memorability, usability and aesthetics. She views design as a platform for driving communication, making meaning, fostering education and pushing change. When she isn’t in front of a computer you can catch her drinking lemonade and dancing like no one’s watching. 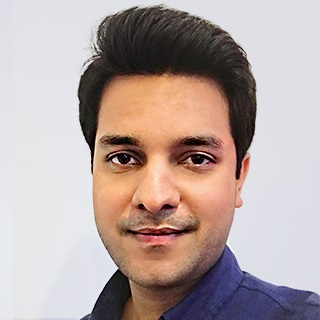 After spending 8 years traveling the world and climbing the corporate ladder at Fortune 500 companies, Ash joined Catchafire seeking to work full time on his biggest passion: democratizing technology for social good. Be it contributing a recurring share of his monthly paycheck to social causes or setting up a company in part-time capacity to help small coffee shops attract customers, giving back to the society is something Ash grew up with. When not at work, he can be seen exploring the latest gadgets on the market, learning a new skill online or tuning into vocal trance. From a young age Cesar developed an affinity for travel and cultural exploration. He grew up jumping back and forth between Mexico and the United States, and feels fortunate to have lived in 6 countries throughout his life. He loves meeting new people and exploring new cultures. 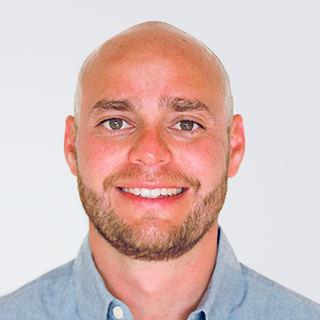 He brings several years of entrepreneurial, startup, and non-profit experience to Catchafire, and is ecstatic about the opportunity to aid social good organizations in tapping into skills-based volunteers and maximizing their social impact. When not at work you can find Cesar dangling off the side of a cliff, exploring and evolving his passion for rock climbing. Chandler’s passion– both personally and professionally– lies in discovering and reflecting on how we can better ourselves and the environments we exist in. She believes in the power of empathy and humility in all aspects of life and is excited to be able to share this outlook with her like-minded teammates at Catchafire. When she’s not working, she is probably either spending time with her family, traveling, or listening to rock and roll music, or a combination of the three. Chris has always loved a challenge, but after completing his analyst stint in sell-side investment research, his biggest challenge was yet to come: using his skills from research to make the world a better place. He decided to dedicate a year of service to AmeriCorps and now looks forward to continuing his career in social good with Catchafire! Outside of work, Chris is a politics junkie who can often be found spending time with friends, watching a nature documentary, or at the local dog park with his furry partner in crime, Covu. Corey is passionate about the role of technology-driven social enterprises in advancing civic engagement and social innovation. 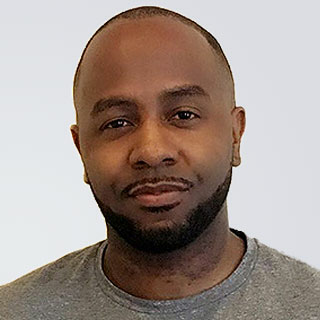 He comes to Catchafire having worked in urban economic development planning and nonprofit program management roles and is guided by the idea that "you make a living by what you get, but make a life by what you give." A disciple of Bay Area sports teams and USC Trojan football, you can find Corey practicing his ambidexterity or crowdsourcing travel adventures both near and far to satisfy his interminable cases of wanderlust and cultural exploration. 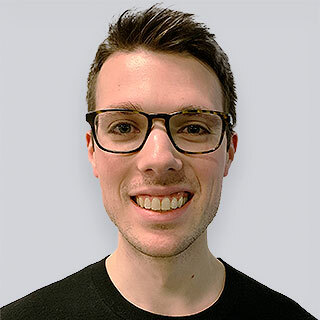 Hailing from the UK, Dan is a passionate software developer who has worked on sites for the British National Health Service, Channel 4 Television and high street brands in the UK. 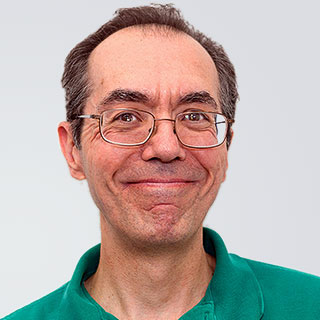 Currently based in Finland, Dan enjoys learning human as well as computer languages and speaks fluent Finnish and Russian. His other interests include history, psychology, linguistics, green technology and Celtic and Nordic folk music and mythology. Seeking more meaning in her professional life, Dana left the entertainment industry to become a Partnership Manager at Catchafire. She loves advising amazing organizations of all shapes and sizes in how to use skilled volunteers to make the world a better place. When she isn't creating "Hollywood happy endings" for nonprofits, she's obsessing over a new television show on Netflix. 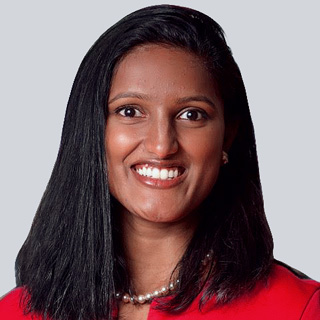 Deepa brings her background in nonprofit operations and civic sector consulting to help organizations on Catchafire think through their needs and plan capacity-building projects. After studying philosophy at Boston College, she sees her career in mission driven work as the best way for her to "live deliberately." 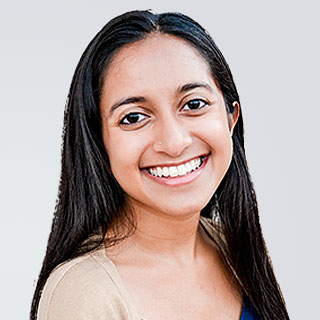 Deepa enjoys coffee, breakfast sandwiches, books, and live music. She says hi to her mom, dad, and sister. Edmund is a Virginia native and New Yorker of five-plus years. As a data analyst, he believes in the power of using data to investigate, explain and solve complex problems. As a lifelong volunteer, activist and student of politics, he is interested in addressing problems related to social, racial and economic injustice. Edmund is a fan of music, film or travel, and is always down to discuss Frank Ocean, the latest Paul Thomas Anderson movie or the best place in Chiang Mai for Khao Soi. Product guy by trade and musician by heart, Ed strives not to BE someone, but to DO something. He joined Catchafire to spend more of his time and energy on things that matter. Ed believes in diversity & inclusion, leaving no trace, the ever-looming dangers of Moore's law and that there should be more posters of Neil deGrasse Tyson (and less Justin Bieber) hanging on kids' walls. The poet in Ed leaves you with this quote… "People don't remember what you say or did... only how you make them feel." The musician in Ed leaves you with this one: "Your left hand is what you know and your right hand is who you are." 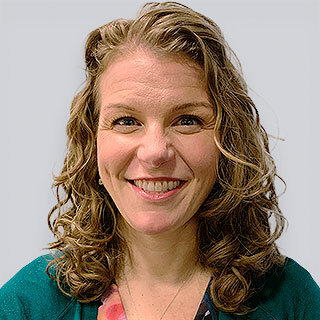 Passionate about helping people and organizations tackle problems that matter, Gayle is thrilled to accelerate Catchafire’s efforts to help nonprofits and social enterprises maximize their impact. 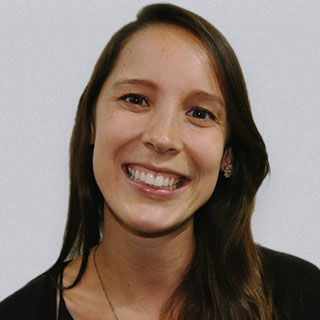 Gayle comes to Catchafire with a background in international development and several years living and working in Latin America and East Africa. When not at work, you can find Gayle on a run by the water, at the dog park petting other peoples' dogs, or planning her next travel adventure. 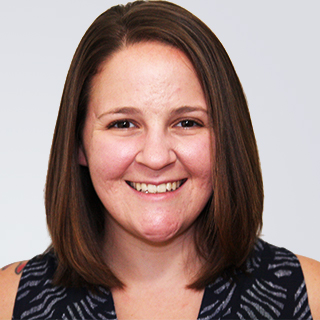 Heather comes to Catchafire after working in operations and communications at startups and nonprofits. She really enjoys figuring out how to build good systems and is known for always telling really bad jokes. In her free time, she loves to find awesome travel deals to cool places, discuss her latest philosophical musings, and try new breweries. You can typically find her in the park with a book or cheering on NYCFC and the New York Rangers. Hefei is deeply curious and a thinker. She loves to dissect problems and has a knack for understanding and improving complex systems, whether at high levels advising companies on strategic initiatives as a consultant, in the weeds building a machine learning based news service as an entrepreneur, or everywhere in between helping to drive Catchafire's strategies as it redefines philanthropy. She also loves to cook and experiment with new ingredients. 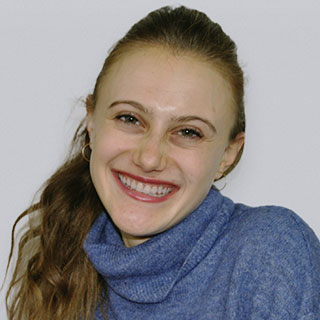 Jamie is a small-town Michigander turned New Yorker who started her career with Teach For America. She used her creative eye to recruit thousands of incredible college grads and career-changing professionals to teach in a high-need community, believing deeply that equity begins with education. 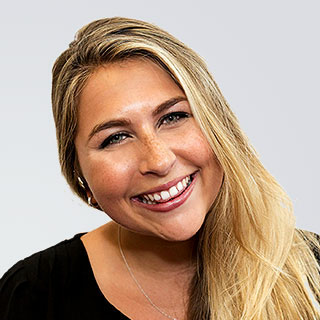 Jamie loves to use design and stories to connect top talent with social-good organizations and will always be a mission-driven marketer. Her obsessions include, but are not limited to: puppies, college football, the dentist, and any/all ice cream. She's also very passionate about never running a marathon again. Jamie has always been passionate about setting things into motion and helping others realize their vision. In her past advertising career, she worked with brands to solve complex business problems through simple, creative solutions. 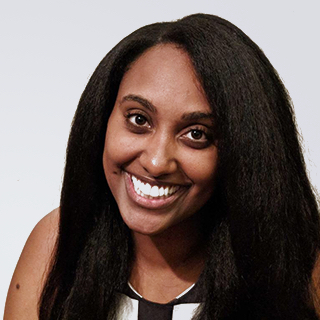 She is excited to bring her passion and drive to Catchafire and help empower nonprofits with the talent they need. Outside of work, Jamie is usually eating, binge-watching TV or reading, or some sort of combination of all of the above. 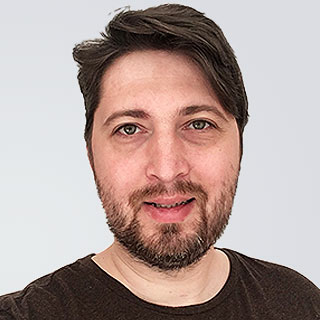 Jared likes coding, kitties, Dungeons and Dragons, helping the homeless, studying 1st century Christianity, philosophy, scaling startups, leading software teams and muay thai. This leaves him well positioned to write software and run our Tech Team, and not so well suited to write biographies like this one. After 20 years working at for-profit internet media companies, Joe decided to change gears and use his skills to improve people's lives. It was a "Back to the Future" moment, since two decades earlier Joe spent two-and-a-half years in the peace corps teaching science and math in Africa. 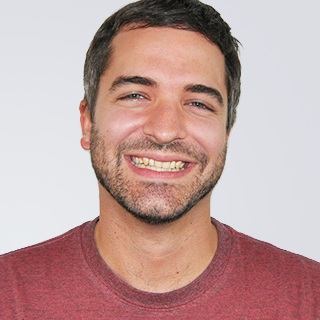 When not coding for Catchafire or coding pro bono, Joe enjoys amateur astronomy, which is just a grown up way of saying he's a giddy kid dreaming about the stars. 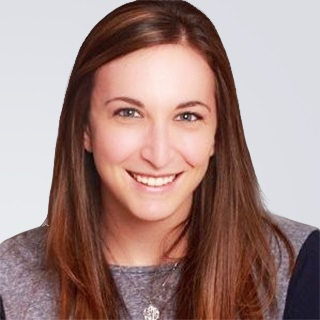 Jordan is a native New Yorker with a passion for helping to grow and support organizations. 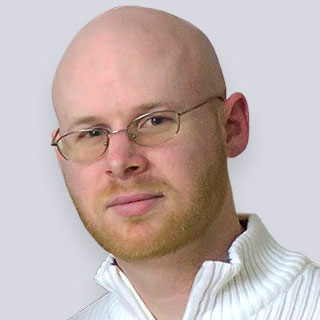 He spent the last eight years in Georgia, between studying finance at the University of Georgia and working in financial consulting in Atlanta. 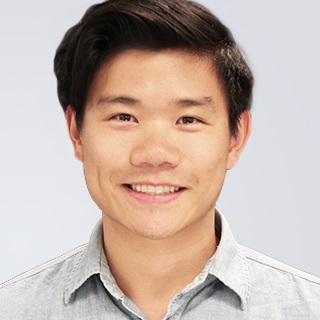 He is thrilled to bring his financial acumen and problem solving skills to Catchafire, where he supports the financial operations of an innovative platform that empowers nonprofits. 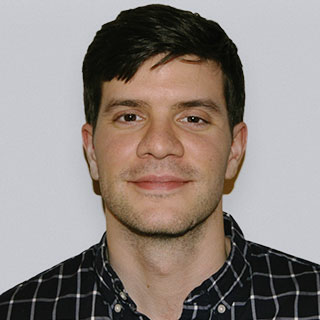 In his spare time, Jordan enjoys playing the bass guitar and watching his favorite New York sports teams. 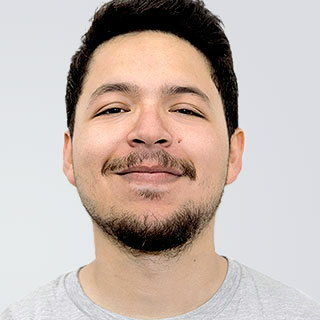 With many years of experience in software development, José is our committed and enthusiastic Software Engineer from Perú. He also works as a teacher in the Department of Computer Science at a Peruvian University. 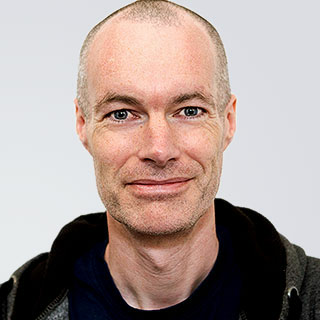 He has worked in several projects involving very large databases and high performance web applications. Interested in world history and sociology (and also in Pokémon and Dragon Ball), he likes to work for social causes trying to satisfy his compromise to make the world a better place. Residing in the great state of Ohio with my wife and three children, I made the natural transition from a degree in animation to.... web development. When I'm not pushing pixels around on a screen as Catchafire's senior front-end developer you can find me in my wood shop making dust. 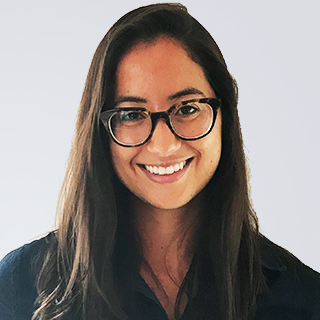 Juliana’s love for solving complex problems is what originally brought her to financial services advisory, but after two years in the industry she decided to redirect her career towards the social impact sector. She has a deeply rooted passion for traveling and exploring new cultures, and is always thinking about her next adventure. Before joining the Catchafire team she spent eight months traveling, working, and volunteering in Central and South America. Outside of Catchafire, Juliana is likely reading, spending time outdoors, or hanging out with family and friends. Juliette reminds herself daily that she has the same amount of hours in a day as Beyonce. A lifelong public servant, Juliette has helped raise over $50 million for nonprofits including UNICEF, Pencils of Promise, Make A Wish Foundation, PBS and the American Red Cross. She joined Catchafire because her firsthand experience that few things are more powerful than the impact the right volunteer can make at the right time, which is what Catchafire helps nonprofits discover every day. She is a native born Washingtonian, child of Texas, and chosen Brooklynite. 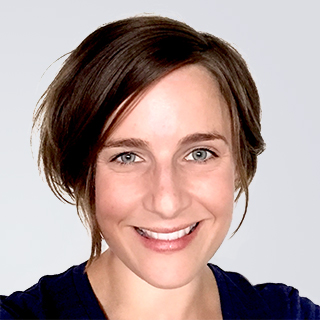 After a decade of working in digital advertising, Kate decided to come to the light and use her powers of exceptional user experience design for good. 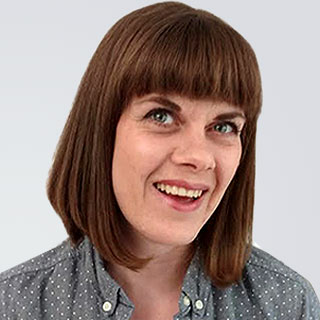 Kate's passion lies in uncovering user needs and finding answers to them through elegant and efficient digital interactions. She is a mom of two boys and when she's not working, she can be found serenading her sons with the help of a ukulele, hiking in the woods or building the next iteration of the ultimate pillow fort in the living room. Kathy is the ultimate utility leader and is thrilled to help accelerate Catchafire’s growth and impact. Navigating seamlessly across industries (finance, media, commerce) and functions (business operations, marketing, sales, product and tech), she is a connector and an amplifier of the people around her. Doing good has always been a passion, and now at Catchafire, it’s her daily mantra. Outside of work, she’s an aspiring health nut, and cherishes each moment with her two precocious children and her talented husband. 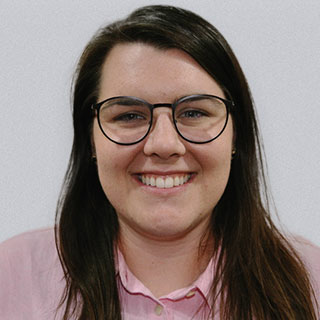 Kerry has held a variety of marketing positions within various software companies, ultimately finding her passion in connecting people with technology that can help them make a difference. 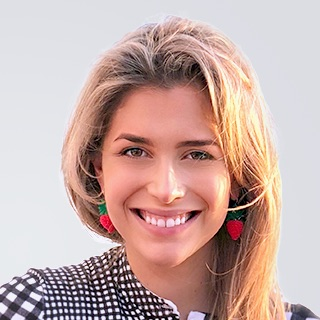 As philanthropy continues to operate within a rapidly evolving technological landscape, she is driven to raise awareness about innovative work with great potential to affect positive change. When not at work, Kerry is usually collecting more books than she has time to read, watching any theatrical production being staged in a 5 mile radius, and consuming an unhealthy amount of coffee. Being 30 minutes from Dracula's castle, Liviu is the self-learning vampire from Transylvania. With a deep experience in Python, and a hobby in programming, he is polishing the tools for Catchafire's changemakers as he learns more about how volunteering changes the world. Madhumitha (Madhu) studied engineering and project management in Boston, Massachusetts. Her primary focus for the past many years has been around software coding and quality assurance. Madhu strongly believes that "software code is your house and you have to live in it". Madhu believes that the customer is the most valuable asset and is driven by the unrelenting pursuit of customer-driven focus and user experience. She loves her kids, watching movies, cooking, and exercising. 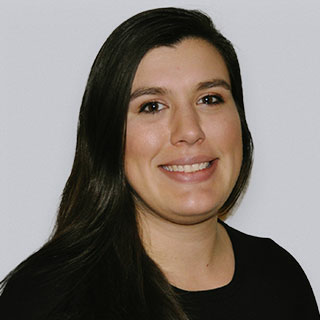 Marissa is passionate about connecting others, from building the largest Massachusetts volunteer program to advising technology companies on recruiting and Diversity & Inclusion best practices. She joined Catchafire to get the best of the nonprofit and tech worlds. When she’s not working, Marissa is winning Broadway lotteries and on an endless search for the best chocolate chip cookie. Megan /?mEEgan’/ is driven by the need to always understand why, and the satisfaction of a problem elegantly solved. 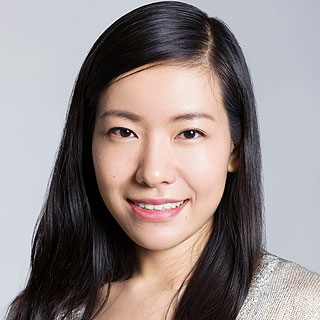 With her background in public relations and education technology, she is a wizard at untangling complex challenges and she thrives on delivering products that help people do their most critical work more effectively. In her free time, she enjoys applying the discipline of product management to raising her beautiful and funny little daughter, with decidedly mixed results. 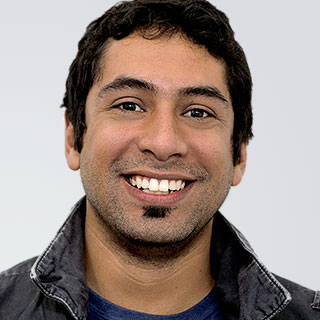 Before joining Catchafire, Naeem spent years writing front-end code for corporate behemoths. Feeling jaded, he packed his proverbial backpack, and went on a nomadic journey through startup world until he found a rewarding position with Catchafire. When not entrenched in coding mayhem, he can be found online, engaged in the ultra-competitive world of full contact speed chess. He is also a cross-fit addict, closet writer, and autodidact of random disciplines. 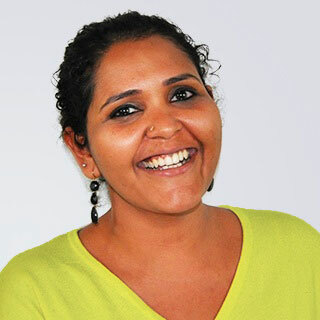 Exploring the nooks and crannies of the social sector — and figuring out how to make it better and more efficient — is Nava's jam, and what motivates her to serve Catchafire's users every day. 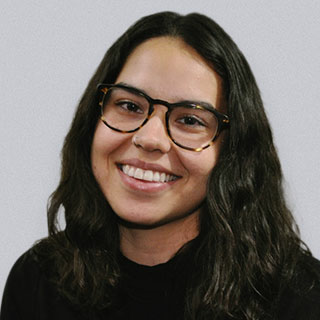 After solidifying her passion for international development and social enterprise at Princeton, Nava worked for non-profits in Washington D.C. and Kampala, Uganda, doing everything from communications and donor reporting to research and event planning. Now, she's excited to be pursuing her conviction that business approaches can and should be major drivers of social change. When not trying to improve the Catchafire customer experience, Nava is on the lookout for the best vegetarian recipes, novels and bike paths, and thinks wearing bright colors should be mandatory, always. Nehemiah is always thinking about how communities and institutions can invest in an ecosystem of social good. Interested in how popular culture moments shape our social and political imaginations, Nehemiah is passionate about the intersection of pop culture and politics, musical theatre and performance, and podcasts that make work commutes, (and the world at large) a little more bearable. 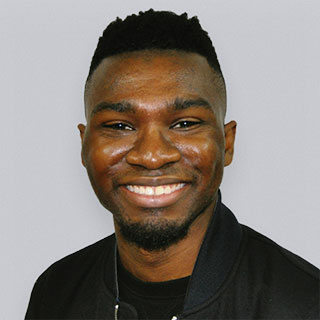 Prior to joining Catchafire, Nehemiah was the National Director of the Roosevelt Network, the nation’s largest network of college students and young professionals working on local and state policy research and advocacy. When he’s not working, Nehemiah is impatiently waiting for a brilliantly impossible idea for the next great fantasy-inspired, musical allegory to wake him up at 5 am. Neyat's background is in the social sciences and public policy. 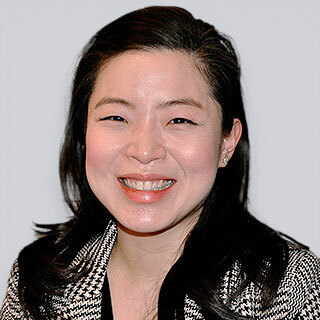 Her work has spanned from the education sector to her partnerships supporting and guiding nonprofit organizations through their unique challenges. Neyat is passionate about problem-solving and creatively finding solutions that put people and their communities first. She's the first one you want to call when you move into a new apartment and don't know what to unpack first. When not working, she's probably scheming and plotting her next travel destinations (think: spices, sunshine, and beaches). Leaving Scotland to chase waves around the world, Nikita settled on New York City as her new home base. 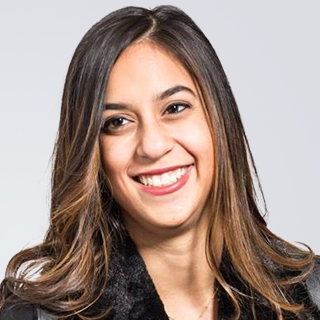 Nikita was eager to bring her flair for events, communications, and partnerships to Catchafire, having first-hand experience of the challenges faced by the nonprofit sector. Nikita is a passionate advocate for our ocean, waves, and beaches as seen through her role as Chair of Surfrider Foundation NYC, a grassroots environmental activist organization. An avid believer that we should protect what we love, when Nikita's not in the water, she dedicates her time to preserving our natural resources. Rather than paying attention at school, Paolo was always drawing and doodling. He later realized that he wanted to be a web and graphic designer, which led him to work on different design agencies. But he could never learn enough, and he knows that he will learn a lot at Catchafire while helping to change the world. Paolo also enjoys singing opera, playing video games, reading, cooking, practicing yoga and astronomy. The one quote that Rachael hangs by her desk says, "Be truthful, gentle, and fearless." She wants to leave this earth known as a leader who empowers others to be better than her. Rachael is described by others as gritty, hungry to learn, humble and visionary -- but her passion is what truly defines and elevates her. Whether she's talking about how amazing the spoken-word artist she saw last week was or a new social enterprise she just heard about, she can't help but gush. She's one of the lucky ones to be born with fire, and she works daily to channel it for good. 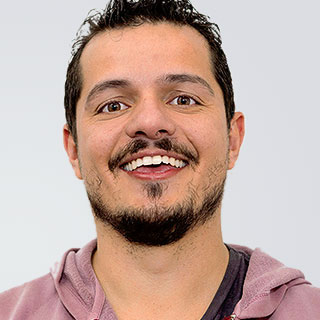 Passionate about learning, teaching, motorcycles and Brazilian music, Rafael spent the last decade writing software and teaching about it around Brazil. Before this, he spent his days volunteering in orphanages and with homeless groups. 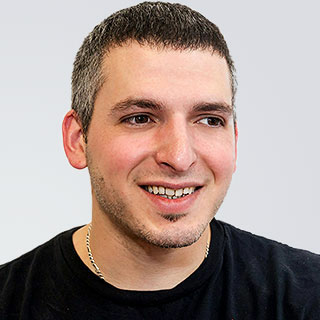 He found his dream job at Catchafire where everyday he gets to do what he loves while helping others. 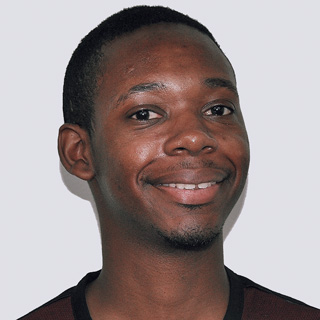 Ronald is our front-end guy, coding with love a big part of everything you see and click. Since a child, he's always been into computers and electronics, and made his way into web development early on. Besides computer-stuff, his other skills include juggling, glowstringing, and playing drums. He's also a big fan of astronomy, science, psychology and eating pizza. Samantha has known from a young age that her life’s passion is to create a meaningful impact on the world. This passion, originating from her love of the environment, has grown across causes and is what brought her to Catchfire. 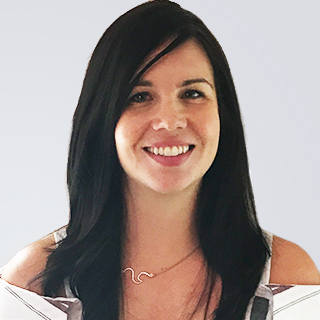 With her strong background in technology services, non-profit organizations, and startups, Samantha is thrilled to be part of a team that is focused on generating sustainable and positive change. 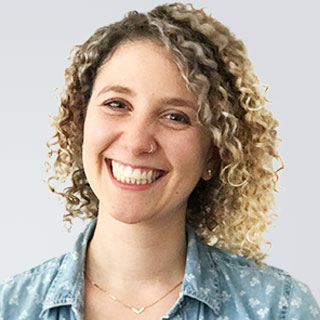 When not at Catchafire, you can find Samantha drinking coffee, reading a book, going to yoga, listening to live music or enjoying time with family and friends. Sonali believes we are better when we work together. At a young age, she brought people together, whether it was in the neighborhood for an impromptu game of kickball or in the community room for a neighborhood meeting. She learned that when people come together, anything is possible. After moving to the West Coast for graduate school, she was bitten by the internet bug and knew that technology, when used for good, could transform communities around the world. 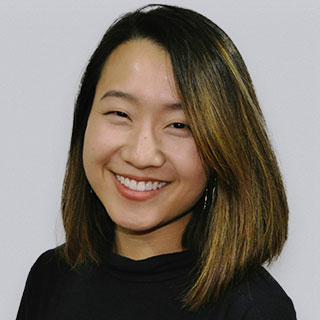 In her role as VP of Partnerships, she is excited to be able to combine her passion for social good with the power of the internet to help amplify the impact of all of Catchafire’s partners. When not at work, you will likely find her spending time with her family and friends, traveling the world, watching a good independent film, or hosting a dinner party. 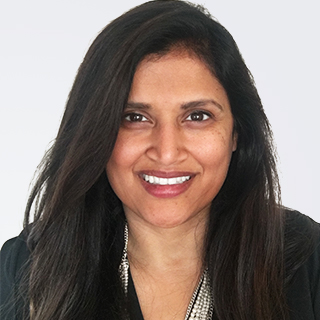 Equally passionate about social justice and efficiency, Sonia loves helping Catchafire support non-profits to meet their needs and volunteers to invest in their communities. She brings a diverse array of experience to the team, including spending time on the Hill and at a mortgage startup in San Francisco, along with a deep passion for women’s issues and equality. She is always working to make sure she practices what she preaches with a healthy dose of enthusiasm and pragmatism. When she’s not at the office, you can find her bopping around the city looking for a new favorite yoga class, shopping at Trader Joe’s, and spending time with her wonderful community. Stacey loves bringing people and organizations together to make the world a better place. She is passionate about building strategic partnerships across a variety of sectors, ensuring that meaningful value is created for all involved. She has deep experience serving the needs of the small business and start-up community. Stacey is thrilled to be bringing her experience to Catchafire, enabling the success of our foundation partners and their members. She also loves leading such a rockstar team! Outside of work, Stacey is running around with her daughter Olivia and son Sam, out enjoying live music with her husband Paul, up early at a gym class or hanging out in Central Park. After spending 10 years in the finance world, Sue decided to pursue a career driven by her passion for the nonprofit sector. 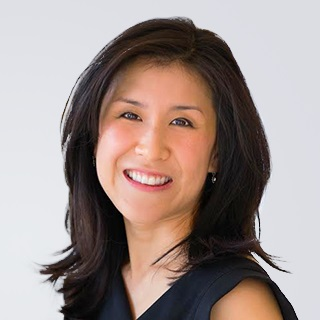 Sue plans to leverage her product management background, as well as her experience planning hundreds of volunteer events, to help Catchafire optimize skills based volunteerism. In her spare time Sue enjoys traveling, eating, reading, and especially doing all 3 at the same time! Tyler grew up on a sheep farm in Western New York before graduating with a degree in Philosophy from The University of Buffalo. 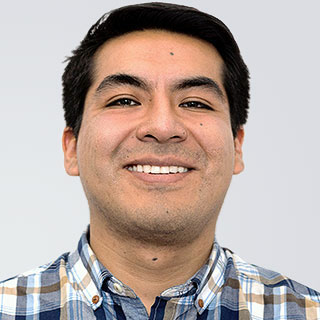 After two years with Americorps, he became the Marketing Director of a Food Justice organization that focused on Youth Education and Food Access. 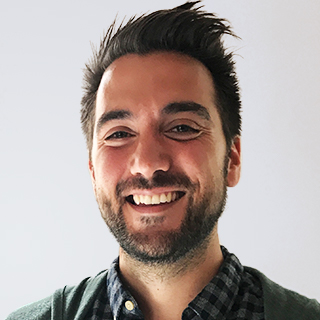 As a Senior Partnership Manager, Tyler gets to help organizations do big things with limited resources, and allows them to get back to doing what they do best: Changing the world! When he's not working, Tyler is either cooking huge meals for friends, playing the mandolin, or watching his beloved Buffalo Bills miss the playoffs again. An impossibly cheery morning person, Zoe greets the day with 2 eggs and motivated to do something that matters. 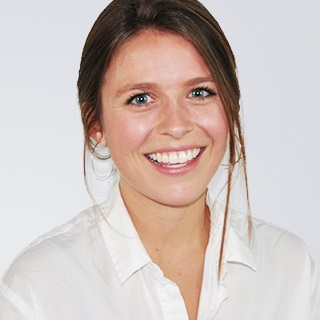 Packing her knapsack with her sneakers, a snack, and a true love of nonprofit capacity building, Zoe relishes in the challenge of turning positivity into practicality and being a part of a team focused on building meaningful and lasting impact. Zoe is originally from Richmond, VA, and will tell you all about it the first chance she gets.